KSB has a solution in the form of CPK SO pumps for handling chemically aggressive, non-abrasive, polymerizing media or media liable to form lumps as well as gas-containing liquids (with specific gravity limiting to 1.2 max). CPK SO are horizontal volute casing pumps, single stage, semi open, single entry impeller in back-pull out construction. 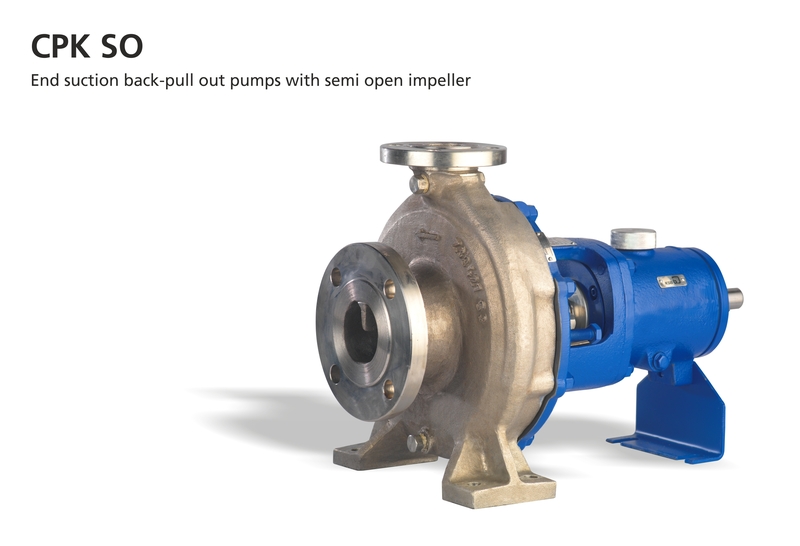 Pumps are designed according to standards - EN 22 858 / ISO 2858 / ISO 5199. KSB, with the aim to improve manufacturing practices and also build better- CPK SO Impellers are produced from Investment casting process to achieve higher efficiencies and better product quality. This Pump features axial adjustment of pump rotor which facilitates ease in pump assembly and maintenance. Pumps are be made available with single or double mechanical seals in cartridge assembly. 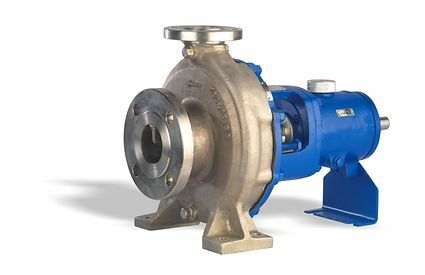 Available in 24 sizes from DN 25 to DN 100, CPK SO pumps are available with material combinations in Stainless Steel, Cast Steel and Cast Iron variants. These pumps can give flow up to 260 cu mtr. per hour with a maximum head of 140 mtrs. Use of high quality Steel material allows pumps to withstand a pressure up to 25 bar with a temperature range up to +200 deg. C.
KSB Limited, Mumbai-Pune Road, Pimpri, Pune 411 018.